Envision Cinemas Bar & Grille was designed to offer the ultimate movie-going experience that goes beyond the seven-auditorium theater. The owners envisioned a cinema that would entertain visitors the moment they walk into the door, offering them an upscale all-American food and bar hot spot. Beyond the great food, drinks, and movies, high-end, seamless technology was a priority for every inch of the theater. Electronics systems contractor M. Alan Associates was brought in to bring the elite cinema’s vision to life. 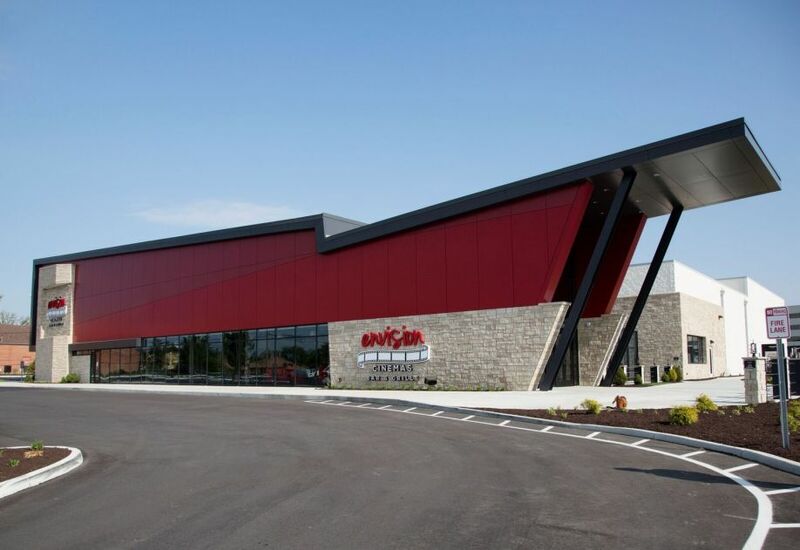 The owners were already familiar with the design and integration capabilities of the contractor from a previous residential installation and wanted to bring that concept to the theater on a much larger scale. They wanted to step up the visual factor with displays everywhere, more audio and video content options, and extreme control simplicity to ensure cinema employees would be able to effortlessly command and distribute the audio and video sources to any display or audio zone. The theater boasts a restaurant and VIP room that offer state-of-the-art video and audio systems. The restaurant and lobby area were outfitted with 47 flatscreen displays mounted from the ceiling, a projector setup, as well as 16 small displays at each of the booths within the restaurant. The VIP room provides business with a high-end presentation environment that includes five displays as well as a Barco Clickshare presentation system to provide intuitive and simple meeting screen-sharing. The Barco Clickshare presentation system is also installed in each of the theaters for mega presentations. 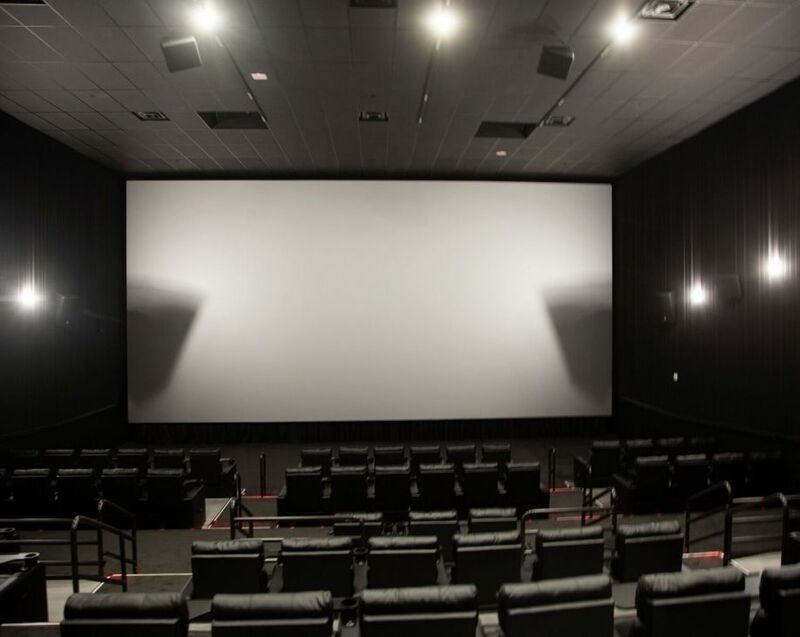 The facility needed to be able to distribute 12 video sources, which included six DirecTV receivers and six inputs from the theater’s movie trailer entertainment system, to any of the displays or the projector system. In addition, audio called for easy distribution control across five zones that includes the restaurant’s bar, booth seating area, the open seating area within the restaurant, the VIP room, and an outdoor patio, with the theater’s music system or audio from any of the content from the displays as sources. Baum selected the RTI XP-8s control processor, which is a high-end remote control processor designed to automate the operation of even the most large-scale electronic systems, including AV, lighting, security, and HVAC. Here, the XP-8’s abundance of control interface options allowed the theater to easily control and manage the HD sources via drivers for the theater’s Just Add Power IP video distribution system and interface with the Extron MAV-PLUS matrix switcher and Crown amplifiers driving the audio within the audio zones. To keep things simple and familiar to everyday users, M. Alan Associates designed and programmed three iPads running RTI’s RTiPanel app. 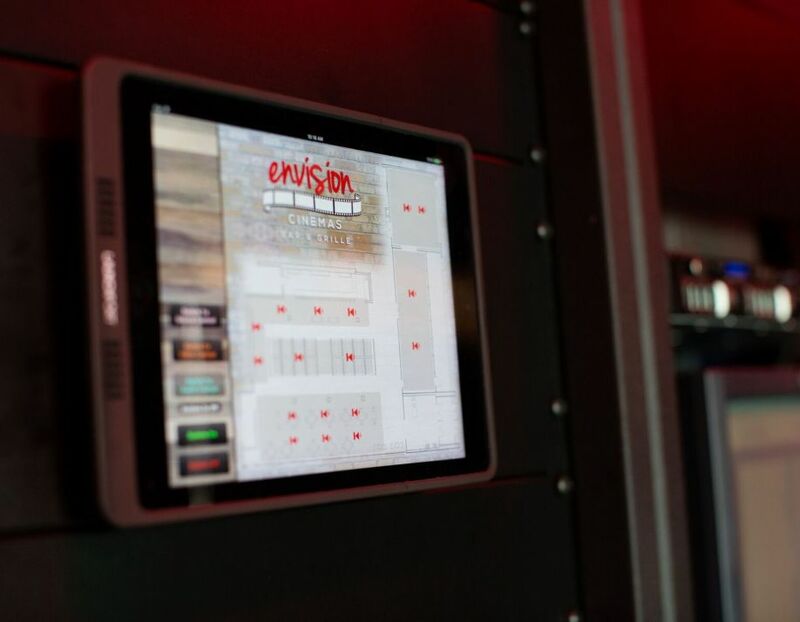 One iPad specifically controls the displays, audio, and Barco Clickshare system within the VIP room. With such a large number displays, sources and zones through the facility, M. Alan Associates made the control experience even easier by taking a layout of the facility and converting it into an image for the RTiPanel app. From the image, employees can see the zones for the displays, which allows a user to touch an area and specifically select and control any display within each zone. This eliminated confusing lists or having to stick numbers on each display and detract from the aesthetics of the high-end, modern space. In addition, they can select and control up to four video sources for the 120-inch screen and projector via a driver for the Just Add Power image processor, which allows them to dynamically display multiple sources at once. The audio zones are controlled in a similar manner, with employees selecting the source and volume for each zone using the easy-to-navigate, highly visual custom image within the RTiPanel app. Finally, the integrators installed RK1+ 8-button keypads at each booth so visitors would be able to select from what they want to watch from a limited number of video sources and control the volume.